In medium microwaveable bowl, microwave white chocolate molding wafers uncovered on Medium-High for 45 seconds. Stir. Continue in 15 to 30 second intervals, stirring each time until all the wafers are fully melted. The wafers will retain their shape until they are stirred. Pour onto cereal mixture; mix well. 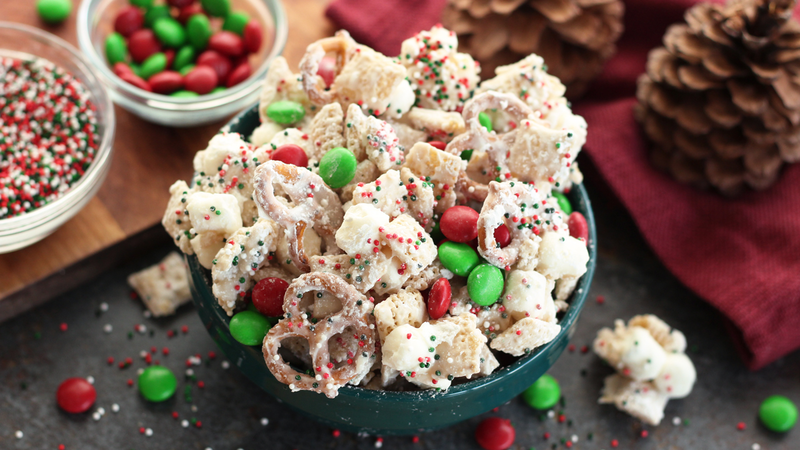 In 2-quart resealable food-storage plastic bag, add coated cereal pieces and icing sugar. Seal bag; shake to coat. Remove from bag; discard any remaining icing sugar.